Ultra Music Festival recently revealed their Phase Two line-up, complete with a World Premiere festival performance that is some 10 months in the making. ‘Jack U’, the collaborative production project announced by OWSLA boss Skrillex and Mad Decent head honcho Diplo back in April 2013, will finally get its festival inauguration at Ultra over the weekend of March 28-30 at Bayfront Park, Downtown Miami. Also included in the Phase Two line up are a whole host of faces old and new spanning the entire spectrum of dance music, in the form of Afrobeta, Alvin Risk, Aly & Fila, Amtrac, Andrea Oliva, Audien, Brillz, Bro Safari, Candyland, Cedric Gervais, Chance The Rapper, Clockwork, Cosmic Gate, Craze, Crizzly, Dannic, Danny Marquez, Danyelino, Dirtyphonics, Don Diablo, Dusky, DVBBS, Dyro, Fedde Le Grand, Figure, Goldfish, Gramatik, Gradtheft, Hardline, Henry Fong, Hugo Bianco, Infected Mushroom, Jochen Miller, John Digweed, John O’Callaghan, Julio Bashmore, Justin Oh, Kill Frenzy, DJ Koo, Laidback Luke, MAKJ, The Martinez Brothers, Mat Zo, Michael Brun, Ms. Mada, MOTi, Mykris, Myon & Shane 54, Paper Diamond, Pegboard Nerds, Rebecca & Fiona, RL Grime, Rony Seikaly, Sandro Silva, Sluggers, Stafford Brothers, Syn Cole, Thunderpony, Tommie Sunshine, Ummet Ozcan, Viceroy and Vicetone. In addition to Ultra’s Main Stage, the Live Stage and the Ultra Megastructure hosted by Carl Cox & Friends (10 Year Anniversary) and Armin van Buuren (ASOT 650 New Horizons), all of which were confirmed at the back end of 2013, the rest of Ultra’s stages were also revealed. For those who like their grooves deeper and darker, look out for the brand new Underground Story | Link Miami Rebels stage. Taking things a notch deeper on Friday and Saturday with the likes of Jamie Jones, Art Department, Solomun and Tale of Us, this will be replaced on Sunday by the Ultra Ibiza | Space Ibiza collective, hosted by Cirez D, John Digweed, The Martinez Brothers, Dusky and Cajmere. The Ultra Worldwide Stage will return on Friday 28 and Saturday 29 March to welcome some of the biggest names in trap, dubstep and D&B including Carnage, Borgore, Adventure Club, Dillon Francis, Flosstradamus and RL Grime, while Sunday will see the likes of Fedde Le Grand, Gareth Emery, Cedric Gervais, Mat Zo and Danny Avila on the Ultra Korea. The UMF Radio stage will be running all weekend long, featuring some of the very best up-and-coming DJs from the past 12 months, as well as some more experienced players thrown in for good measure. From Kill The Noise, Alvin Risk and 12th Planet on Friday, to Cazzette, Dyro, Dannic and Ummet Ozcan on Saturday, Ultra will then be venturing into unchartered waters on Sunday as the UMF Radio stage gets a nu-disco makeover with special performances from the likes of RAC, Oliver, Moon Boots, Julio Bashmore and Cyril Hahn among others. 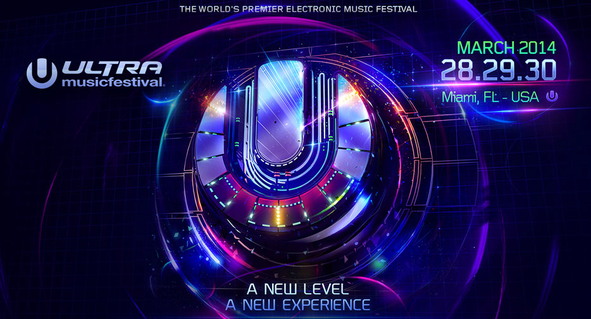 Check the Ultra site for more info.